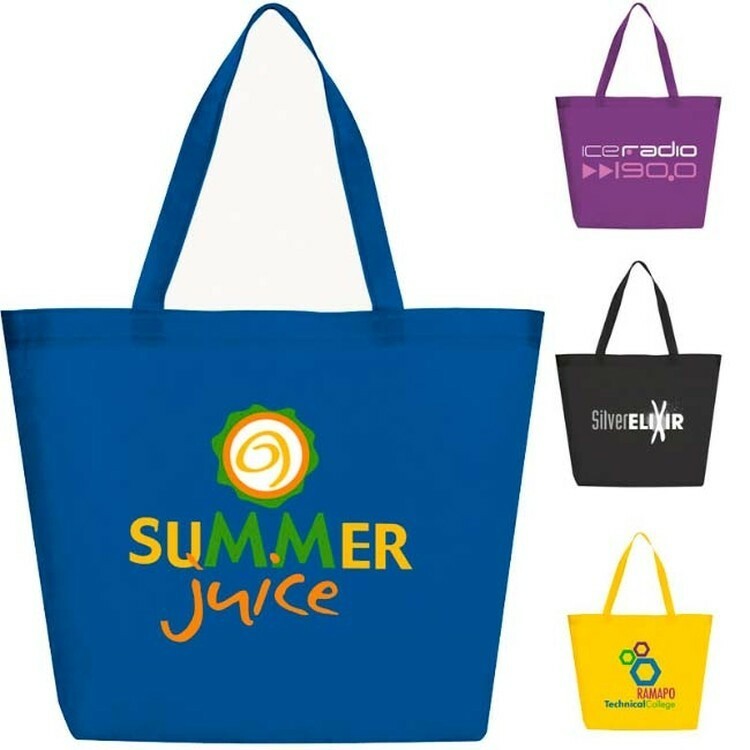 Set sail towards promotional success with this handy tote! Made of 100%, this 12 oz. 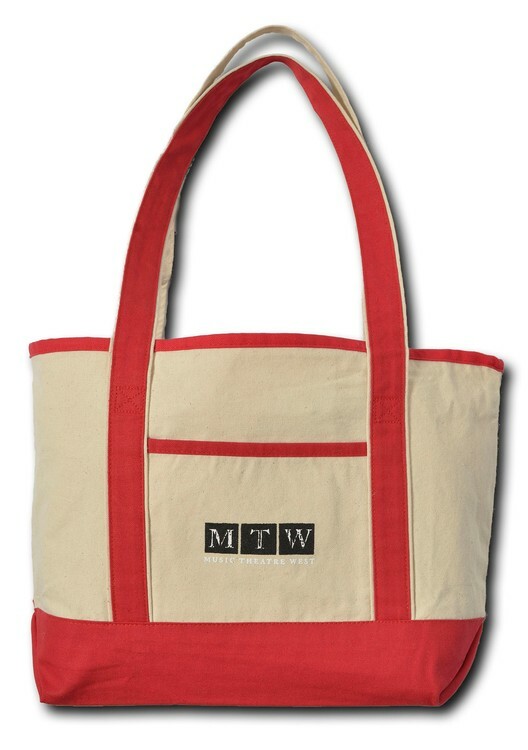 natural-colored tote features a full zipper top gusset,open front pocket, zipper pocket & colored handles and bottom. 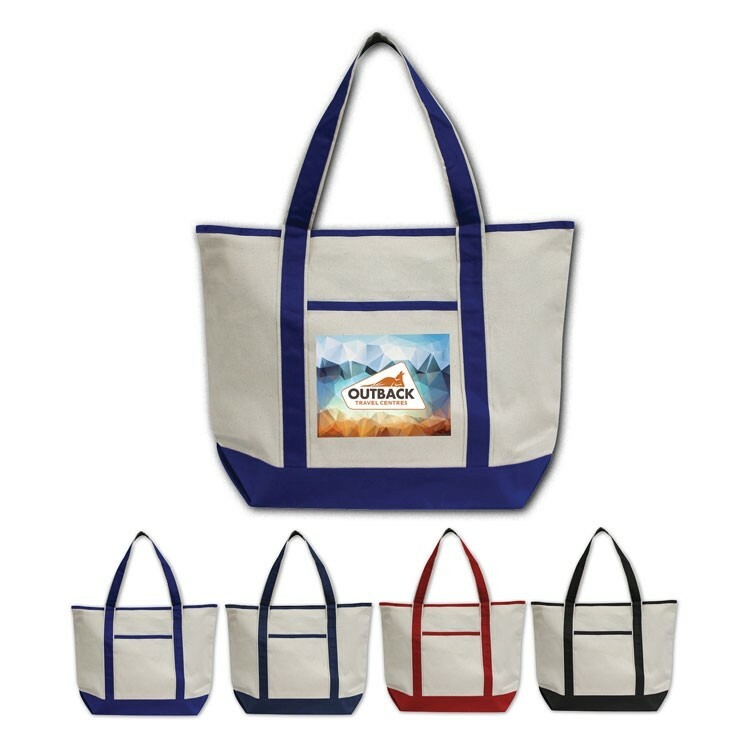 Great for tradeshows, conventions and customer incentives, this tote can showcase your company name and logo using one of our many imprinting methods. Customers will want to jump on-board with your message wherever they go! 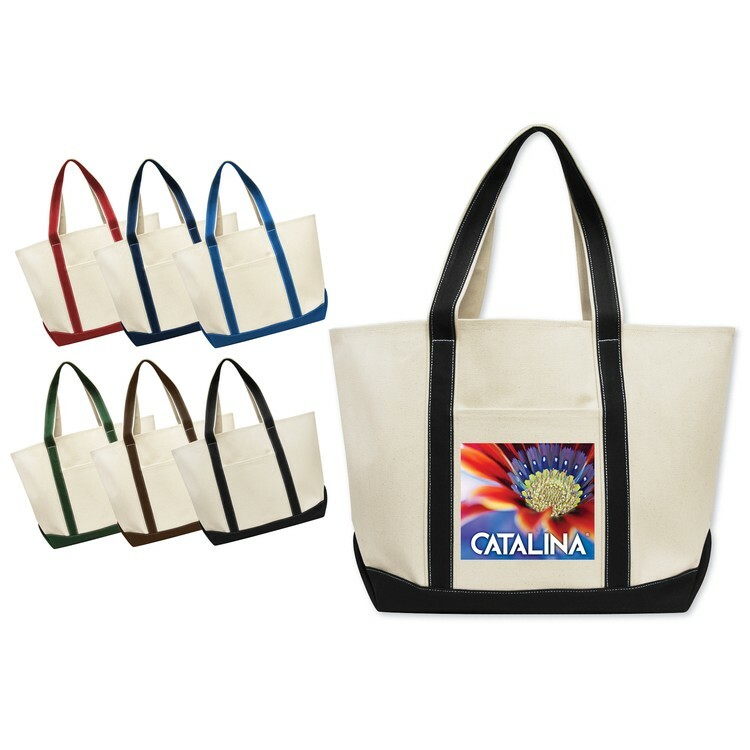 Set sail with the Boat Tote! 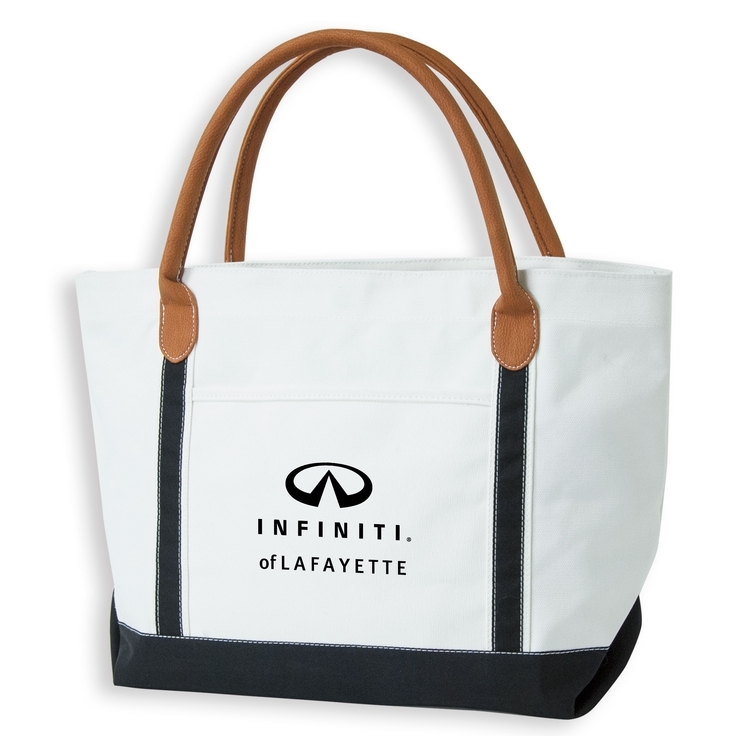 This white tote bag is constructed of 600 denier fabric and has contrasting self-fabric handles and bottom. The exterior front open pocket is great for your cell phone, day planner or pens while the 22.5'' handle makes for convenient and comfortable carrying. 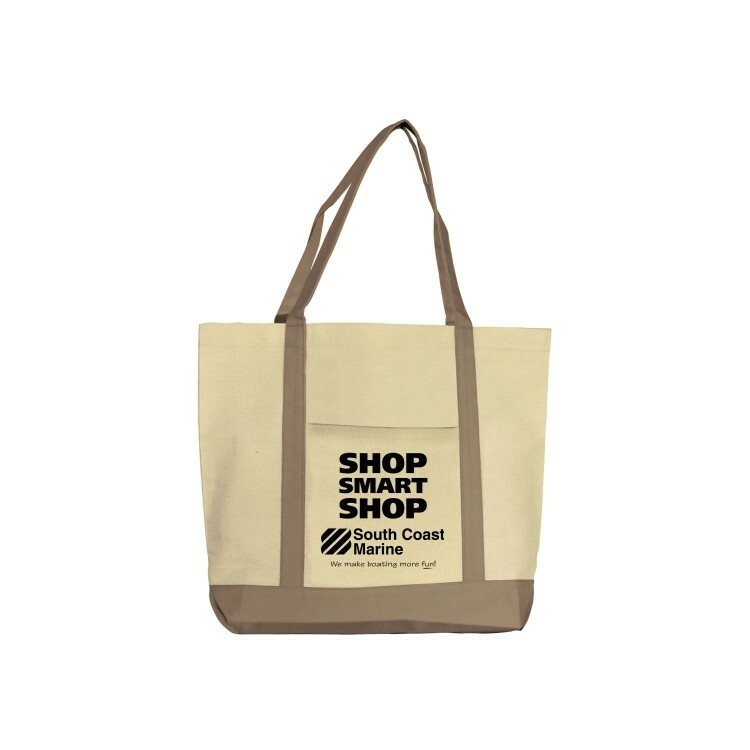 Totes are perfect items for the grocery store, park, beach or every day errands - so customize this one for clients of any industry! 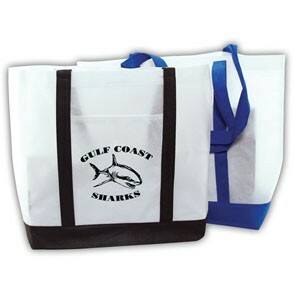 Eco-friendly non-woven Boat Tote 13-1/2”W x 14” x 3-3/4” gusset and 22” handles. 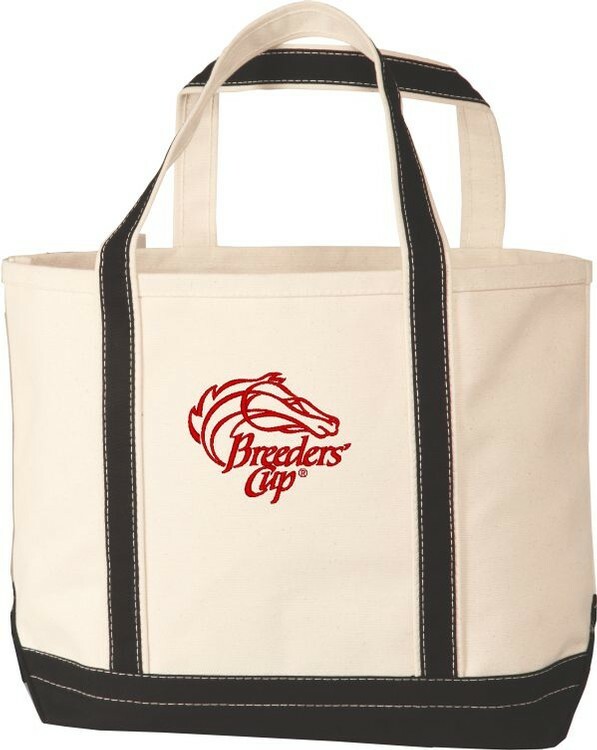 White non-woven tote with a front pocket and red, black or blue colored accents & handles. Great for cruise lines, travel agencies, teachers & more. 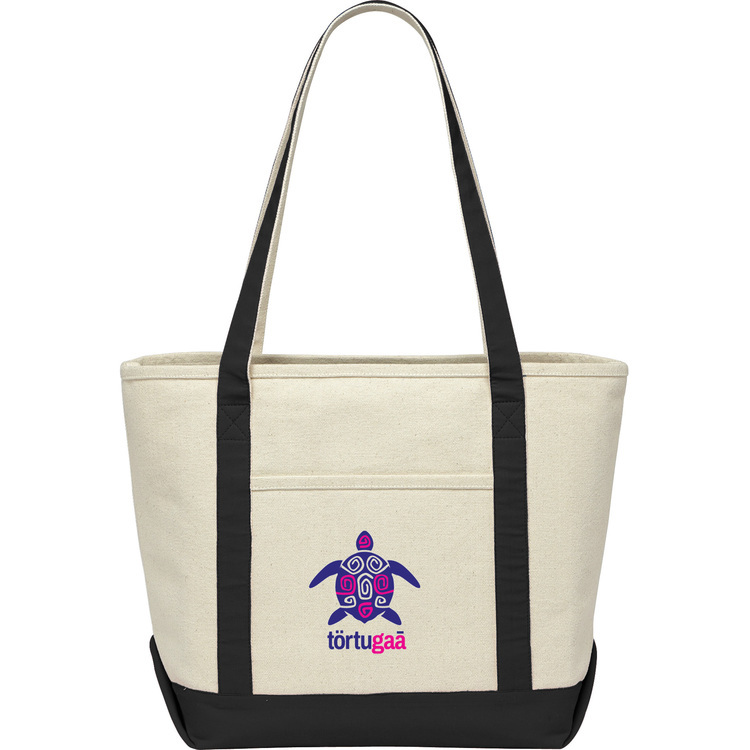 Makes a great reusable grocery bag or a tote to take to the beach. 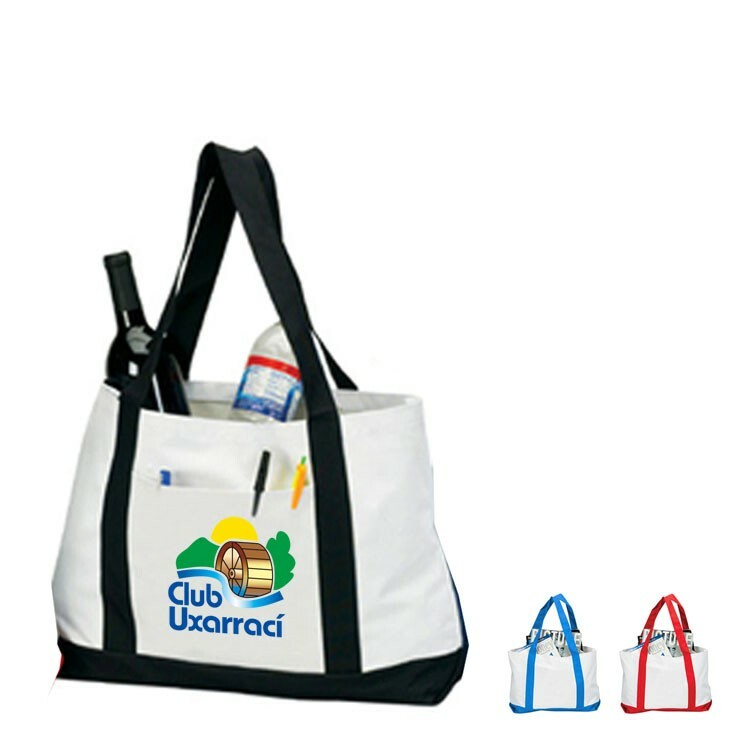 Advertise your company''s logo on the front pocket for added appeal. 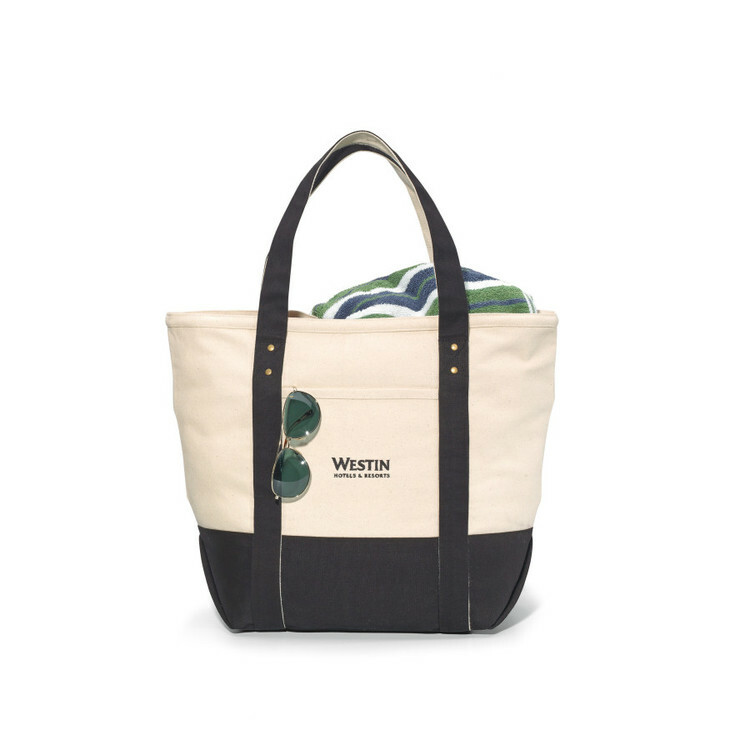 Canvas boat tote with vegan leather handles. 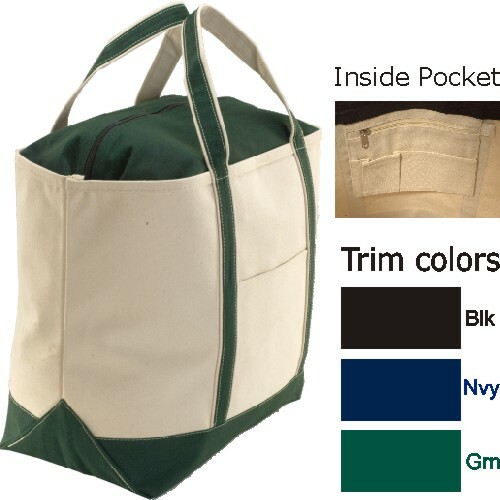 Large front pocket for added storage. Magnetic top closure. 16 oz. canvas. Thick, durable 16 Oz. 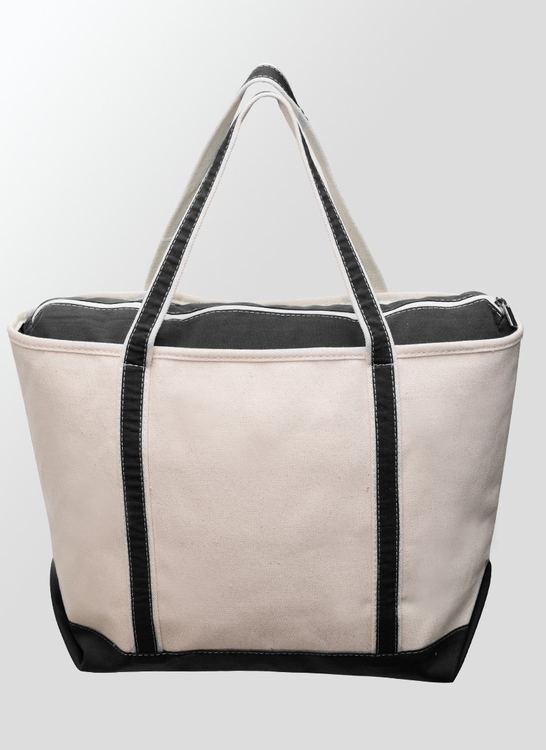 cotton canvas boat tote. 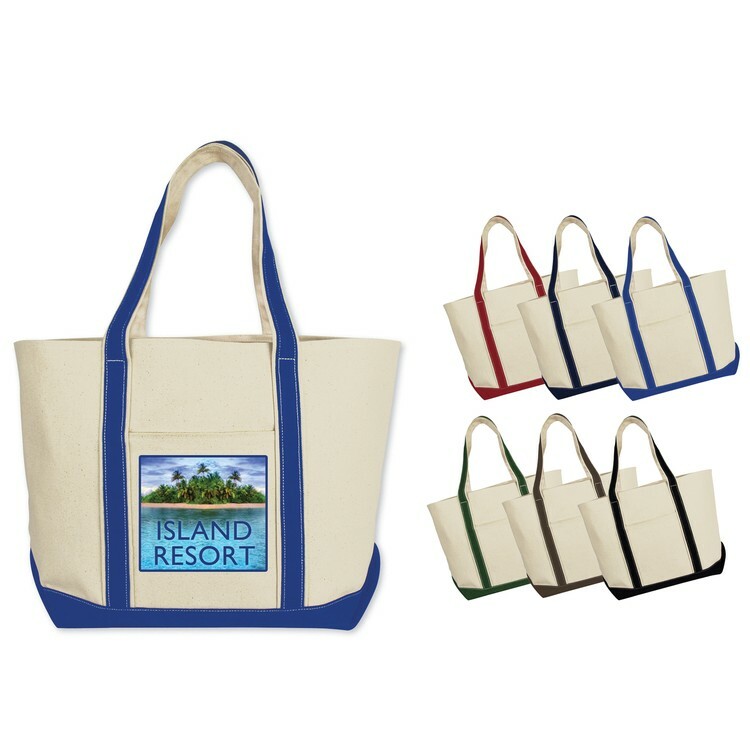 Great as a beach carry-all bag, 18 1/2" wide. Inside key ring holder & valuables pocket. Thick, durable 18 Oz. 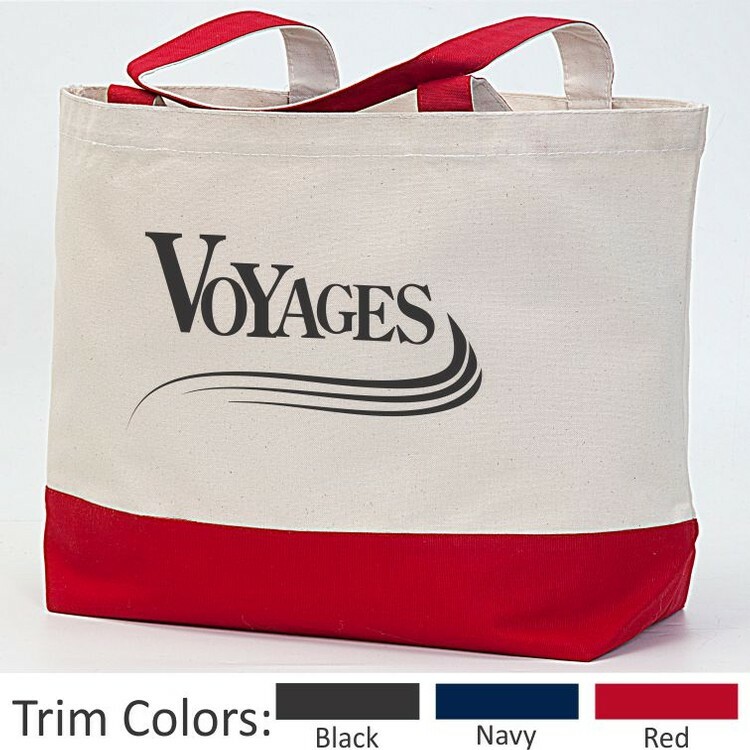 cotton canvas boat tote. 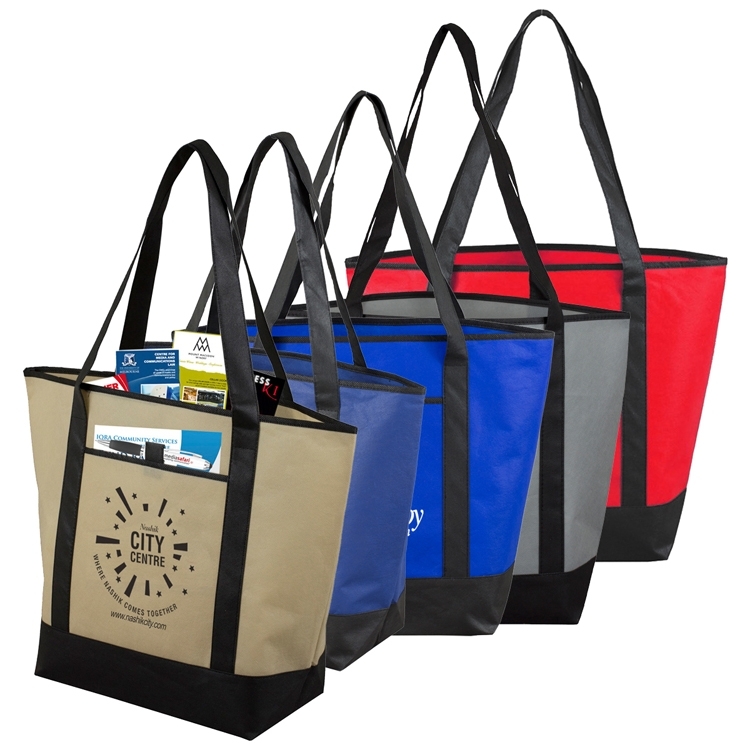 Extra-large carry-all bag, 23" wide. Inside key ring holder & valuables pocket. 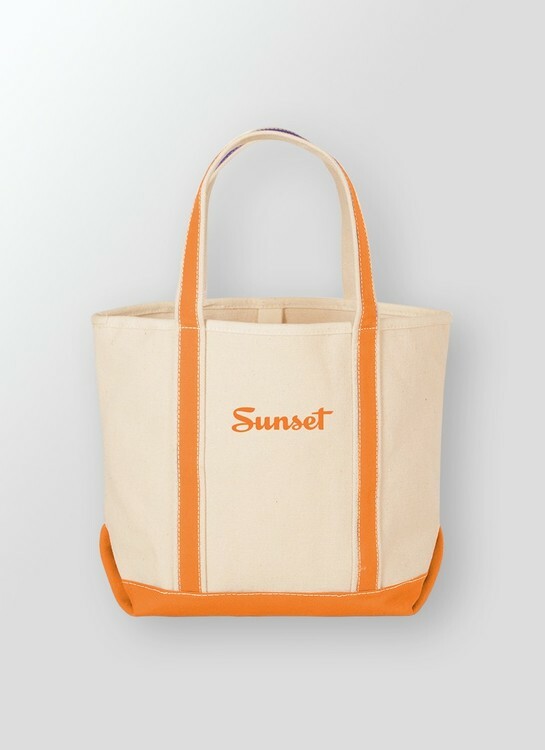 9 Oz cotton canvas, classic boat tote style. 5" gusset at bottom, open front pocket. Use as a gift bag for special client. VibraColor® Full Color Process available. 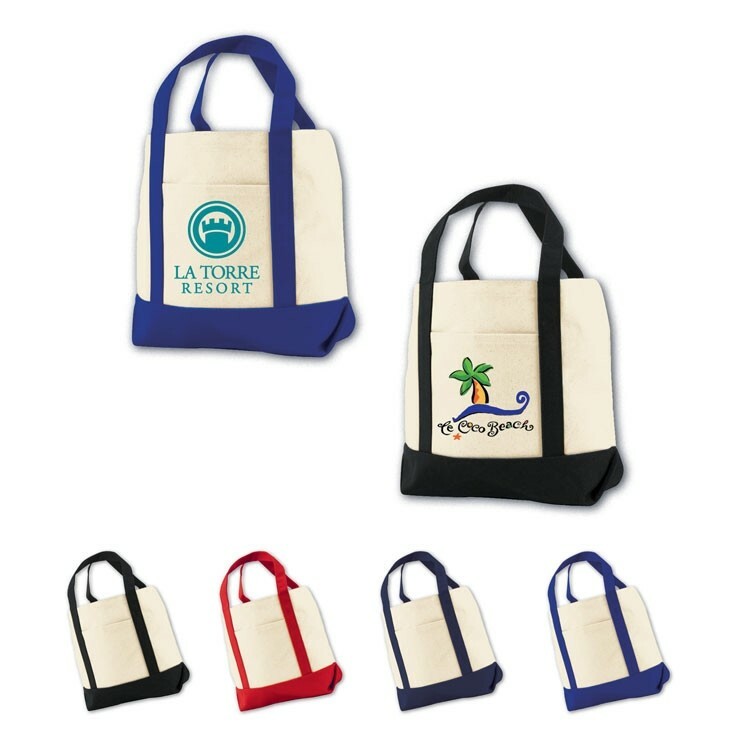 Wide Imprint Boat Bag / Tote  Promotional / Imprinted Bags / Totes Trim colors available 7158 Black 7158 Navy 7158 Red Features This bag is value priced and very well constructed. 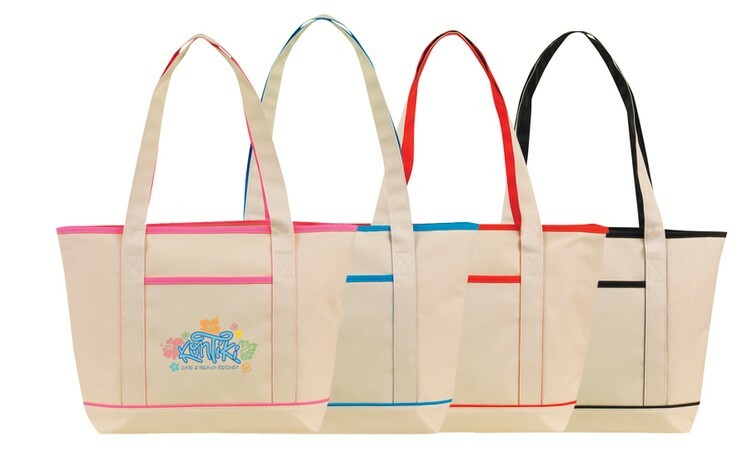 It has a reinforced colored bottom and 26” long shoulder length handles. 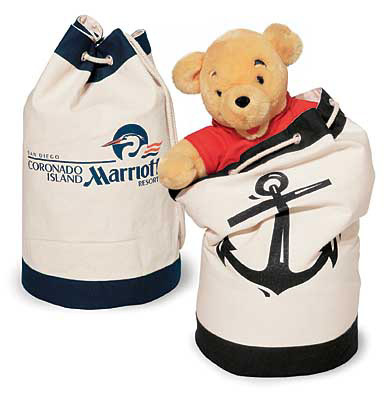 It is our best mid-sized boat tote with a wide imprint area. It has large carrying capacity with 6” gusset. 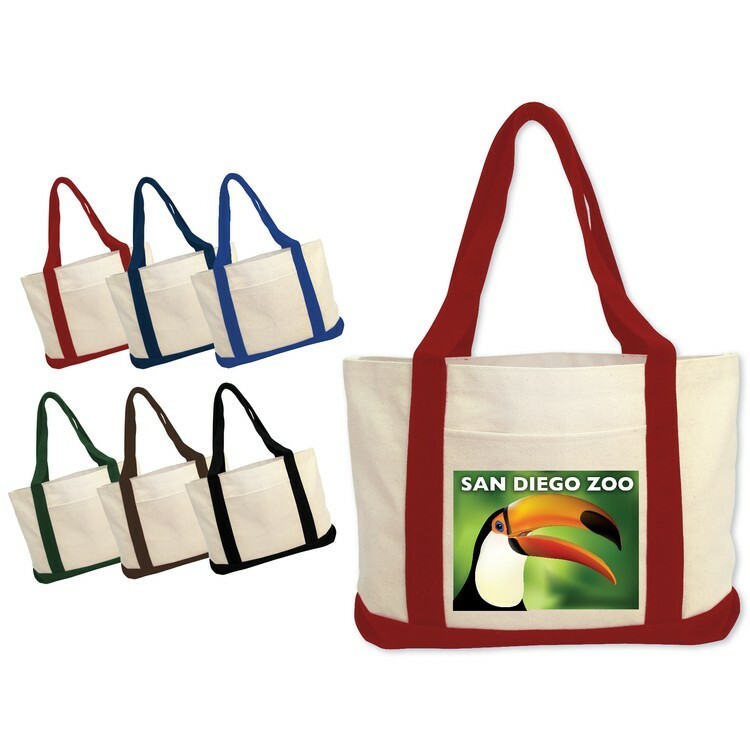 This bag is made of a high quality recyclable, eco-friendly, biodegradable, 12 oz 100% cotton canvas with recycled content. 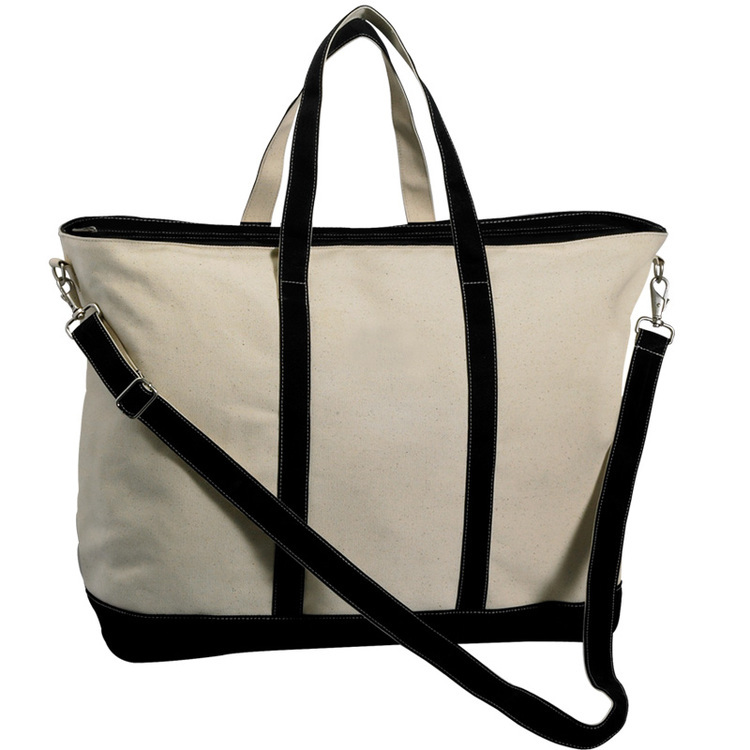 This bag has two tone 26” handles which give this old favorite a new modern look. 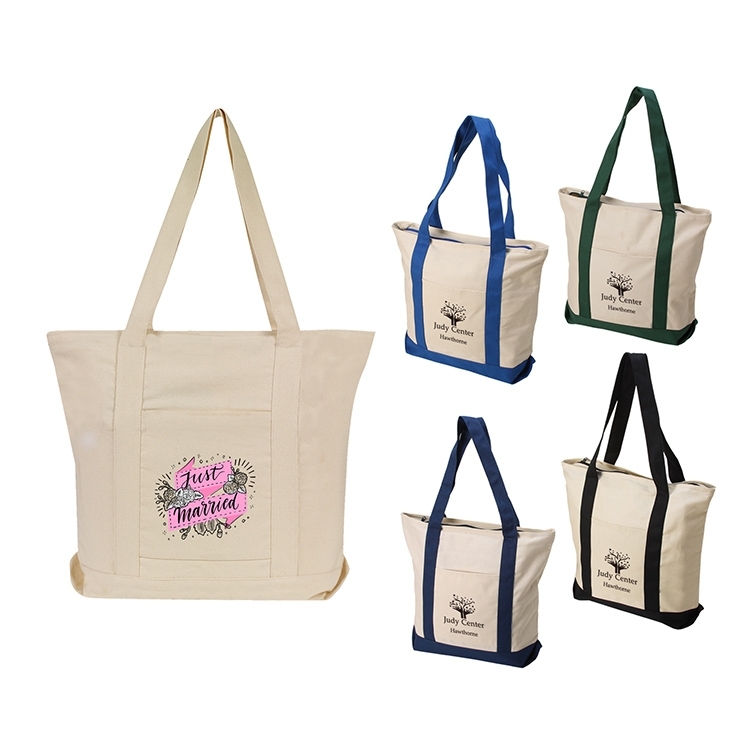 With your choice of 4 different colors this bag is great for casual travel, conventions, special events, giveaways, shopping, even holiday gifts. Offered till supplies last. Imprint area 9”W x 5”H Embroidery 3”W x 3”H 4 Color Process / Photo Trans / Full color printing available. 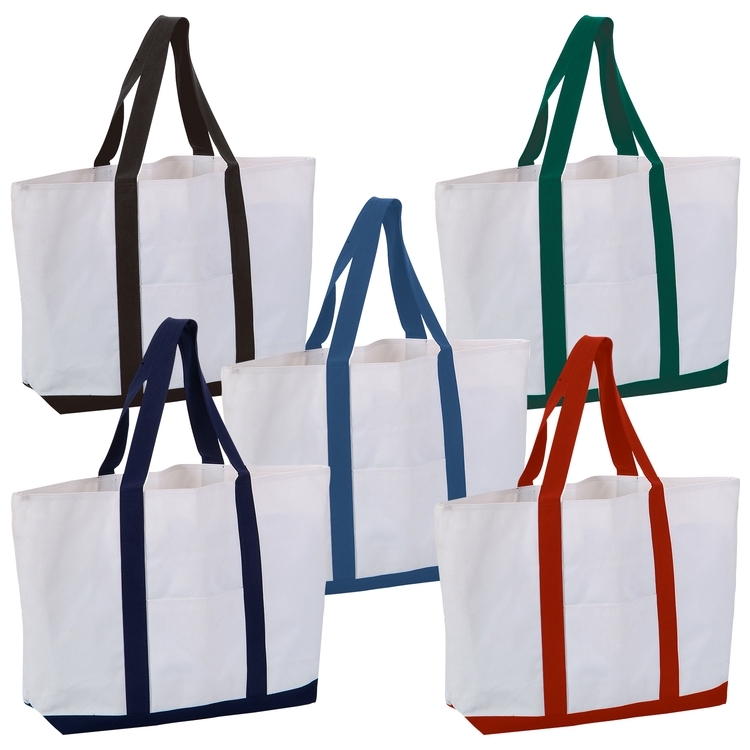 Boat Mate Gusseted Canvas Boat Tote with large pocket on front. 12 oz. Cotton Canvas. 16-1/2 W x 13 H x 4 gusset, 20 long straps. 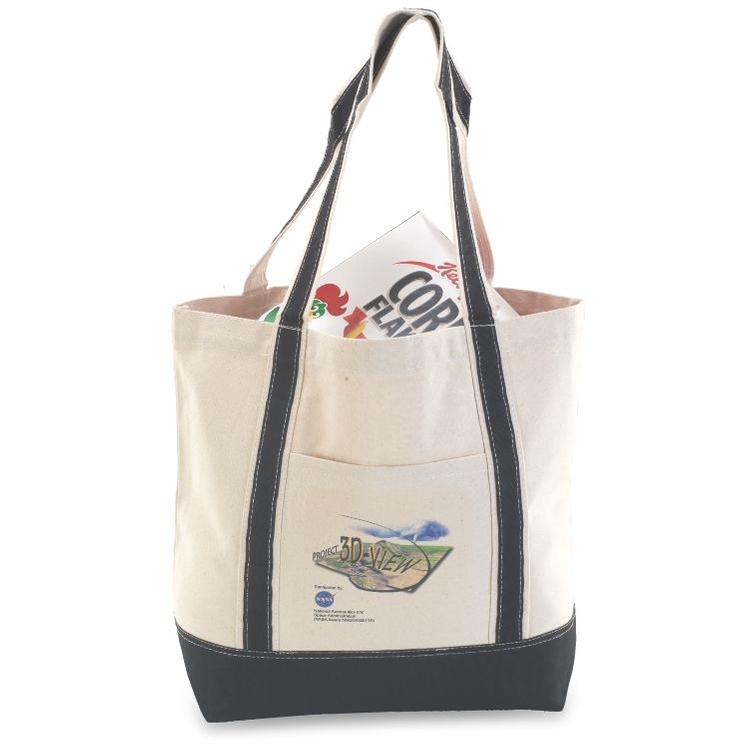 100% Natural cotton tote. Very durable. 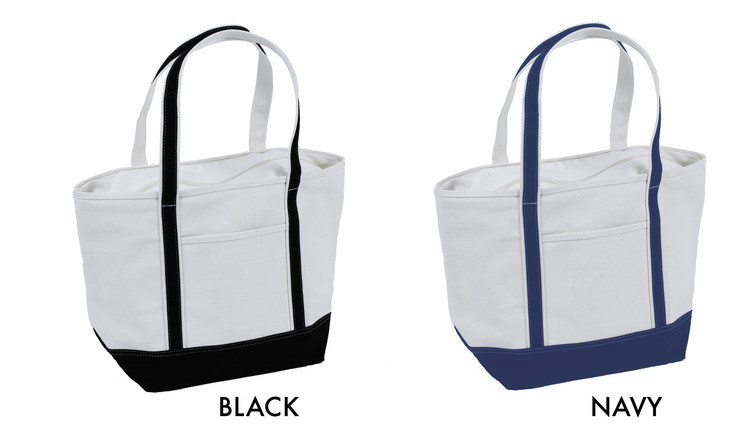 Classic boat tote shape in heavy weight and sturdy material. Open front pocket. 12" handle drop height. Made from 100% natural cotton. 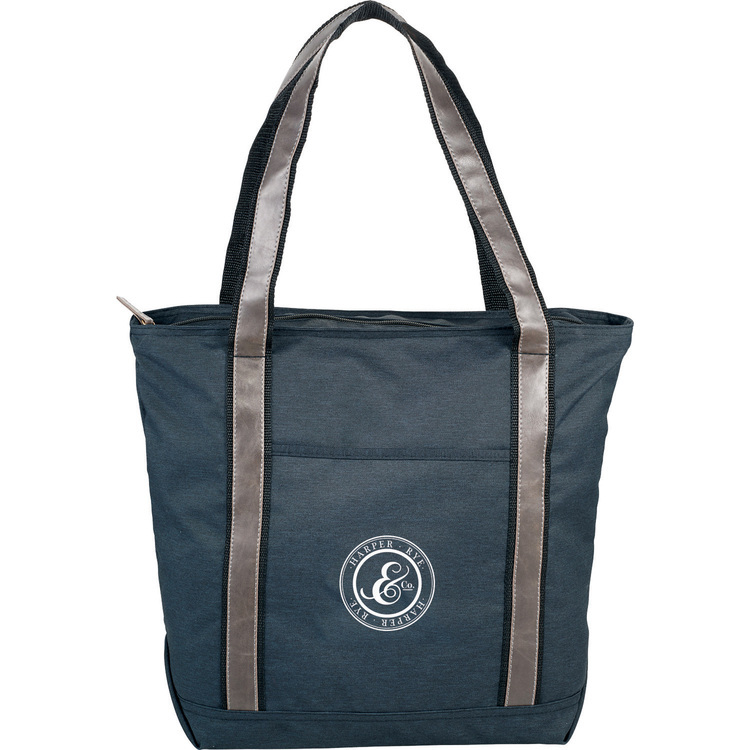 Great for outdoor events and travel, this spacious bag is the perfect alternative to plastic bags. Exhibit your powerhouse style with the Capitol Collection, a blend of classic and contemporary design from the streets of Georgetown to DuPont Circle. 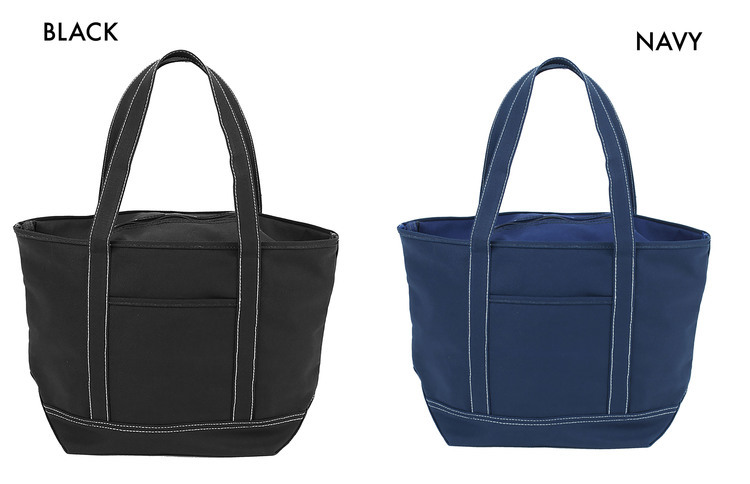 Classic boat tote shape, with a large zippered main compartment that has a dedicated iPad, Surface or other tablet device padded pocket. Front slash pocket for additional storage. 12” handle drop height. Vinyl accents and antique hardware.